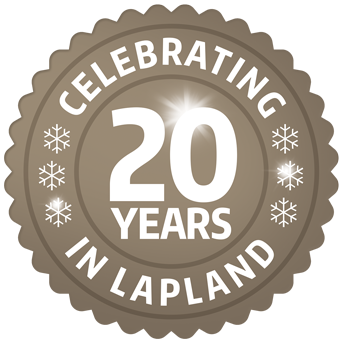 Why book a Lapland Holiday with Inghams? Inghams has over 20 years experience offering winter adventure holidays to Lapland. In that time, we have built excellent relationships with hoteliers, allowing us to provide our guests with a brilliant choice of accommodation. Equally important is our wonderfully close relationships with all the key activity providers in all three of our resorts. We work directly with our suppliers which means we can bring you a wide range of excursions. Inghams Lapland excursions represent excellent-value compared to other operators, so you can make the most of your trip, creating long lasting memories in an affordable way. Guaranteed excursions if pre-booked* - we guarantee that you will be able to take part in all activities during your 7-night stay. The exact time and day of each activity will be confirmed locally. Shorter, family-friendly options are also available with our 1.5km-2km Husky & Reindeer Safaris, if you are concerned about the little ones being out in the cold. A wide range of exciting activities available including horse-riding, arctic ice fishing, snow laser quest, Northern Lights trips, beginner and intermediate snowshoe safaris, wilderness dinners, fat biking and, in December, you can meet Santa! *Subject to confirmation. Inghams guarantees you will be able to take part in any pre-booked activities. Not applicable to Santa Break holidays. We do not guarantee Inghams excursions will not clash with any additional activities/excursions booked by guests independently.